Ikea has this great home decor weight fabric that is popping up all over the place on the internet these days. I saw it the last time we were at Ikea and had to get a couple of yards to play with. Since it’s a little heavier than a quilting cotton, it works great as a bottom weight. 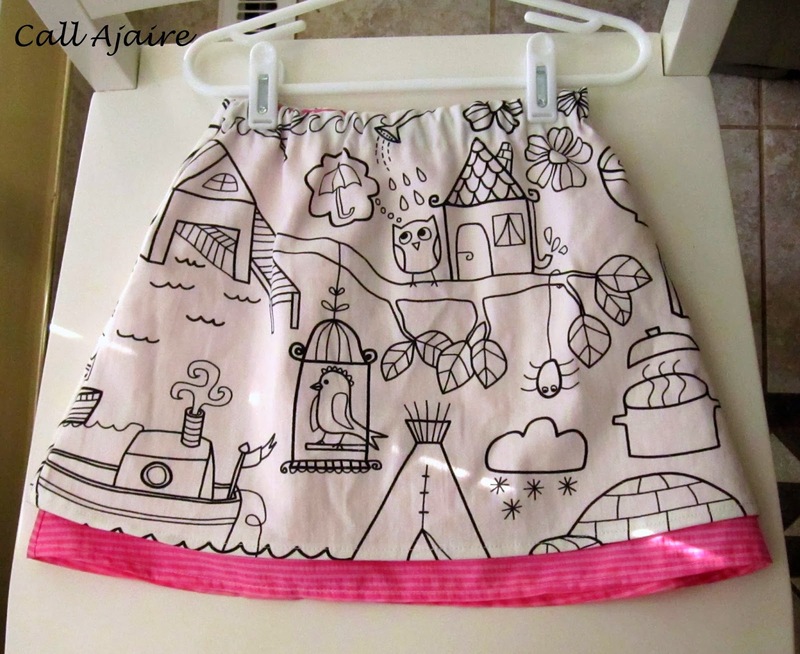 Recently Bean had a birthday party to go to and I thought a fun gift for the three year old girl would be a washable Coloring Skirt. I think it would make a great Christmas gift too. I made a simple two layered skirt with the inside layer hanging down about and inch and a half further to give a pop of color to the black and white top layer. 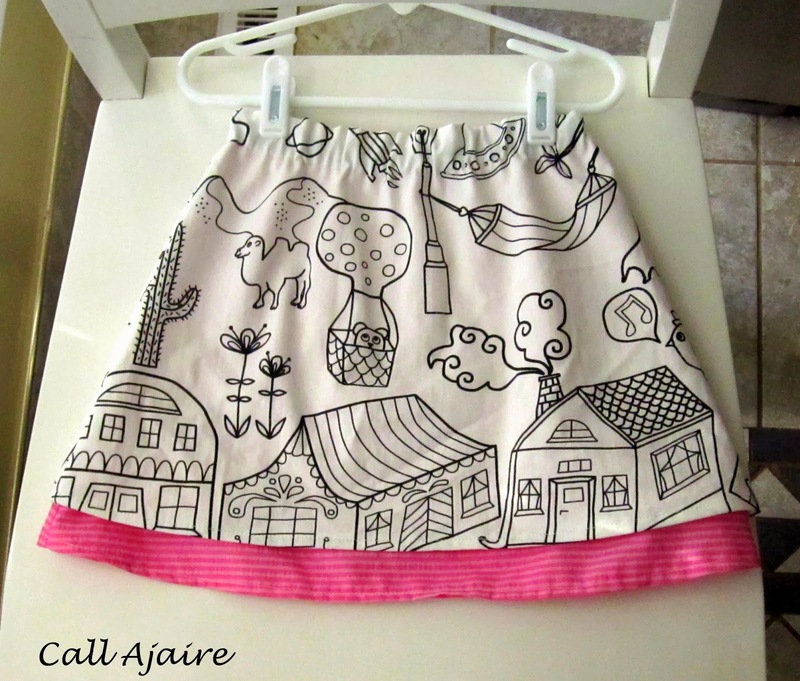 There are lots of tutorials for making a basic skirt online so I won’t go into all the details, but if you’re looking for a specific pattern you could use the Boardwalk Skirt (*affiliate link) by Andrea Pannell – it has a two layer option. Personally, I think it looks great as is, but I know it’ll be a lot more fun for the kids to color on it. Throw in a pack of WASHABLE markers and the gift is complete. 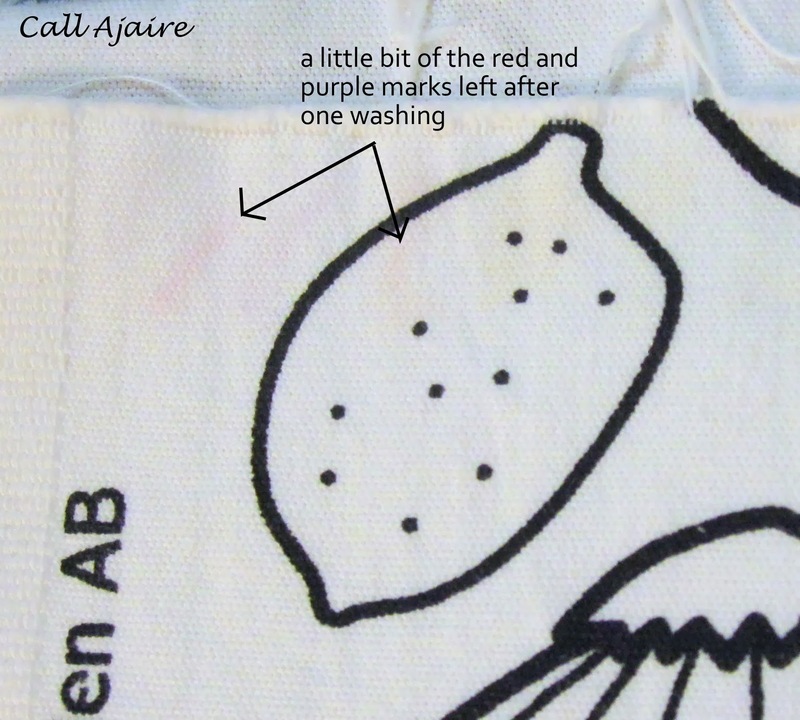 I did a sample run where I colored on a swatch and all but the red and purple marks were completely gone after one washing with no pretreatment. I use all natural laundry detergent with no additives, so I’m sure using a “normal” detergent would get it completely removed. My suggestion would be to pretreat it if you are concerned about it. I have a few other handmade Christmas ideas so I’ll be back soon to share. Can you believe it’s December already?? I love that fabric! I've been wondering if I could use a permanent marker and draw my own:) that's a fabulous present!! What a great gift idea! My daughter has one of those color your own bag kits and even though she likes it, she wishes she could re color it from time to time. This is the perfect solution! That really is a cute idea. But, I would worry about them wanting to color on everything because the markers are washable!! Whaaat? That is genius! 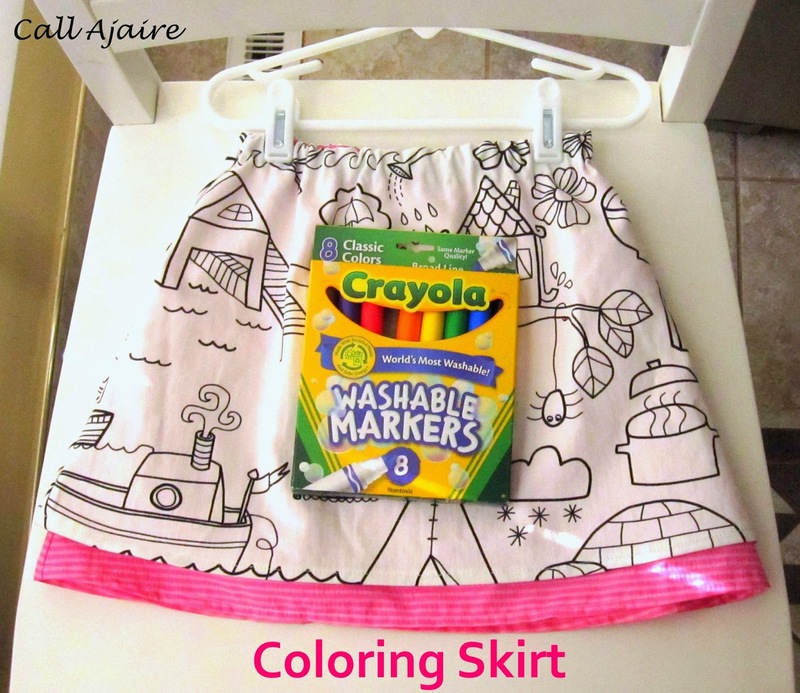 Miette adores coloring and skirts. What a great idea. I was planning to go to Ikea this weekend, must check out that fabric. A perfect gift! I'm kind of bummed I haven't spotted this fabric at my IKEA. I like the idea of a peek a boo skirt. I love this! I want this fabric. I went to Joanns last night, looking for a black and white that I could play with. Uhg! I hate that there never is the fabric I want. This is adorable though. I will have to see if IKEA ships, or maybe I will go visit Scary. Any way, thanks for sharing this, I have a little girl who would love this! This is such an awesome idea! I will have to keep an eye out for any similar fabric in Aus.